Scotch whisky may be on the cusp of a rye revival, but making spirit from this tricky grain is no simple task. Distillers are having to come up with ever more inventive ways of working with rye, as Dave Broom discovers. Rye is known as an awkward customer. It can turn to glue when being mashed, and foams wildly during fermentation. Many are the tales of a distiller setting a washback one evening – and returning the next morning to find the tun room knee-deep in froth. The thickness of the mash also means that it can stick to the inside of the stills and burn onto the steam coils. There is also no single way to process rye. Every country has its own style and, within that, each distiller plays its own variations. 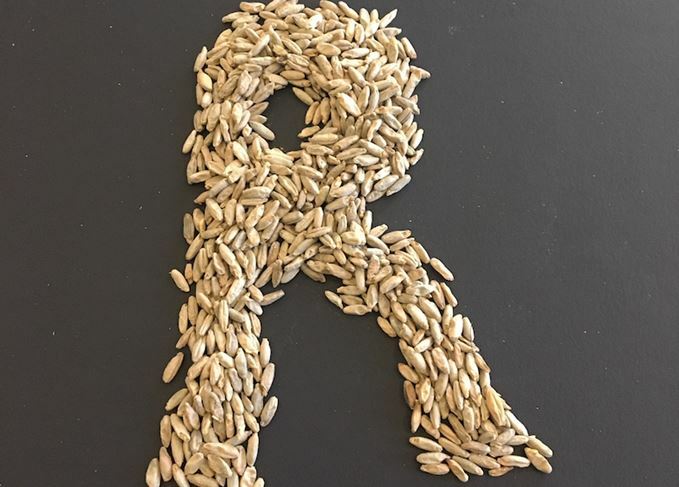 For example, in the US and Canada enzymes can be used to assist with processing, but as these are not permitted in Scotch, the naturally-occurring enzymes in malted rye or malted barley have to be utilised instead. It’s therefore no surprise that four different ways were used to make Scottish rye in the recent pot still revival of the grain in Scotland. ‘The original intention was to malt the rye,’ says Bruichladdich distillery manager Allan Logan, ‘but as we couldn’t get that done, we used a mashbill of unmalted rye and malted barley. Even then it wasn’t straightforward. ‘Having the rye and barley together in the grist hopper gave us drainage problems on the first mash,’ says Logan. ‘We then mashed the rye on its own at a higher temperature, and then added the malt, though in trying to master the drainage we might have lost some flavour. Meanwhile, InchDairnie’s approach with its ‘Ryelaw’ spirit was completely different. Malted rye was used, but kilned at a lower temperature to the malted rye used for flavour in brewing. In total, 1.5 tons of rye and 1.4 tons of malted barley were milled and mashed at 45˚C, before the temperature was increased to 65˚C to complete conversion. A more dilute water:grist ratio to normal was used because of rye’s stickiness. The clear wort was fermented with Mauri’s ‘R’ yeast, selected for the distillery, and then double-distilled, the first in a standard pot, the second in the distillery’s ‘Lomond Hills’ still, an adaptation of the original ‘Lomond’ still and named after the hills behind InchDairnie. While the original ‘Lomond’ still had moveable plates in the neck which could vary reflux, the InchDairnie variant’s are fixed. Reflux is manipulated by flooding the plates with condensed distillate. The more that is reintroduced, the lighter the spirit. Then there’s the wallpaper paste syndrome. ‘To get a filter bed, we used 70% malted barley on our first mash, but this week’s is 60% malted barley to 40% malted rye. The husks of the barley give us the filter bed to go through; run-off is slow, but the flavour is great. Lone Wolf is ageing in a mix of ex-Buffalo Trace Rye casks, virgin American oak casks and 50-litre American oak (both with a level three char). Meanwhile, a mix of new American and French oak (with some first-fill American) is being used by Bruichladdich, and 100% virgin Ozark American oak barrels by InchDairnie. Diageo will continue to trial rye at pilot plant Leven and two other (unnamed) distilleries – though the presence of a mash filter suggests that Teaninich might be one.